Chance Murdoch is a 40 year-old single father of two. One day, after five years alone, he has a chance encounter with Amy, a woman from his past, twelve years his junior. Sparks are there from the moment their eyes meet and neither can deny the attraction. However, Chance has a few problems he must overcome before he can commit to a relationship with Amy. The first hurdle is Chance, himself. He isn't sure he can date a woman so much younger. Second, is his ex-wife, who is bound and determined to see him as unhappy as she is. She will stop at nothing to keep the two of them apart, even if it means fabricating a story to win back custody of their children. The third hurdle to finding happiness with this new love is the hardest of all. Amy is his teen-aged daughter's high school calculus teacher. Can a simple man like Chance balance the love for this woman, the protective instinct for his children, and the possibility of alienating his daughter by dating her teacher, and still overcome the bitterness of the woman who left him with two children to raise alone? All he wanted was to finally find happiness. Now he is faced with a choice, his children, or the woman who can make his dreams come true. His life has become a hot mess, all because of a chance encounter. Ed Stuteville was born in Louisville, Kentucky and raised in Etowah, Tennessee. For over thirty-five years he has worked in retail management. Working his way up from cook and cashier in a fast food franchise to the Vice-President of the company over operations; with an eight year break in-between where he co-owned two partnerships. Ed met his wife of twelve years when they were in the third grade and all through school, they never dated. Ed and Kathy make their home in Charleston, Tennessee where they spend leisure time traveling and playing with their seven grandchildren. 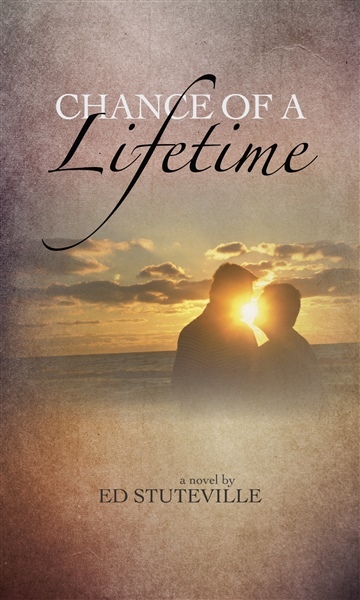 Ed's first novel, Chance of a Lifetime, was originally published in January, 2013 and was recently re-released in June of 2015. His newest novel, Forever and For Always, was published in February, 2014. When he is not working or traveling, Ed is currently working on his third novel, Careless Whispers, book one of the Muddy Waters Series, a suspense novel set in his hometown of Etowah, due out late in 2015.